Partypoker has become embroiled in a collusion scandal after a high stakes regular noticed some peculiar plays from some of his fellow players. The Finnish pro first noticed some irregularities during the final table of partypoker’s Wednesday Turbo Highroller (October 18). In addition to six short stacked players not having an all-in called over the course of 48 hands, FarseerFinland witnessed a number of questionable raise, 3-bet and 4-bet sequences. His suspicions were raised further when the tournament was over three minutes after he hit the rail, despite the relatively slow pace with seven players remaining. After conducting his own mini-investigation, FarseerFinland discovered that six of the top seven in the Wednesday Turbo Highroller all setup accounts in May 2017. Additionally, the eight accounts he suspects of colluding all play in the same limited range of tournaments. With the issue noted and reported to partypoker’s security team, an investigation was launched. After reviewing the evidence, FarseerFinland was told that the eight accounts he flagged have been suspended pending further investigation. 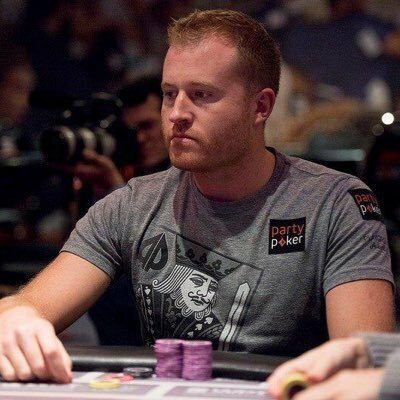 Seeking clarification on the issue, Calvin Ayre’s Lee Davy reached out to partypoker Managing Director Tom Waters who confirmed collusion had taken place. “A group of accounts were found to be playing in teams in order to collude against other players,” Waters told Davy. Expanding on the issue, Waters told Davy that this isn’t a widespread problem at partypoker, but a dedicated email address ([email protected]) has been set up for anyone that suspects others of cheating. Issues involving bots, users that are able to see their opponent’s hole cards and multi-accounting have long survived in the online poker industry. During the initial poker boom, high stakes players such as Justin Bonomo, Sorel Mizzi and Josh Fields were all caught using multiple accounts in order to gain an edge. However, even though technology has advanced since the early 2000s, high profile instances of cheating don’t appear to have increased. This may be due to the fact that cheaters and bots have become more advanced. On the flipside, antifraud detection measures have also become more sophisticated since the early days of online poker which could mean that the problem is slowly being eradicated. As Waters explained to Davy, partypoker uses software that’s constantly being updated so that it can analyze large amounts of data and pick out possible cheating.